When it comes to raising children, the predominant way of thinking is that young boys and girls need their mothers. The offshoot of that logic is that the fathers of these young boys and girls don’t really know what they’re doing. While I do not subscribe to this particular supposed truism, many do and the movies certainly agree. 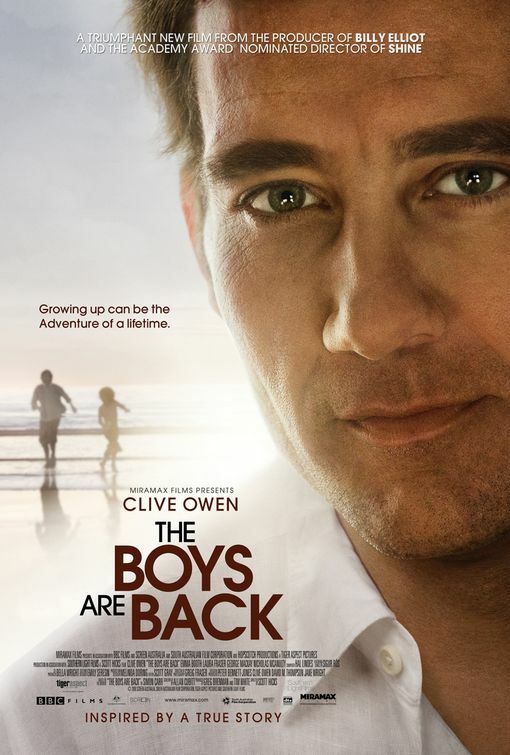 THE BOYS ARE BACK opens with a father (Clive Owen) driving along the beach, ever so close to the water, with his young son (Nicolas McAnulty) riding along on the roof of the car. Director Scott Hicks brings his latest film as close to the edge of cliché as Owen does his son to the ocean but fortunately both know when to get back to reality before its too late. This particular reality had me teary within fifteen minutes of the opening credits. Owen, who may find his name tossed around come awards season for this one, plays an international sports writer based in Australia. He is barely home but that all changes when his beautiful wife (Laura Fraser) dies suddenly of cancer. 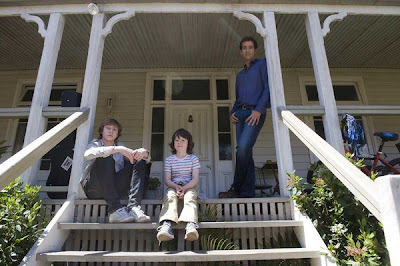 Now, Owen must cope with the loss of the woman he loved and figure out the mind of a toddler. To make matters more complicated but not necessarily worse, Owen’s teenage son from a previous marriage, Harry (George Mackay), is sent to live with him shortly afterward. The boys behave very badly but always with the hope of a healthy growth ahead of them. Hicks rose to fame in 1997 with two Oscar nominations for his biopic of David Helfgott, SHINE. His record has been spotty at best since. THE BOYS ARE BACK may not get him back that same kind of acclaim given the difficulty of the subject matter but those who see it will remember why he was recognized to begin with.